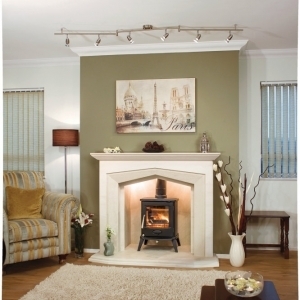 As the saying goes “home is where the heart is” and we believe the heart of any home is the fireplace. 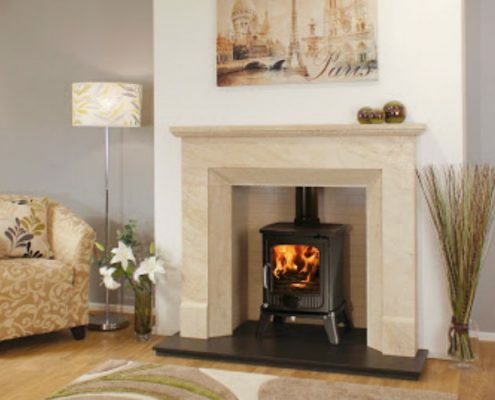 In our showroom you will see fireplaces of varying styles to be used with fires, basket fires and stoves. 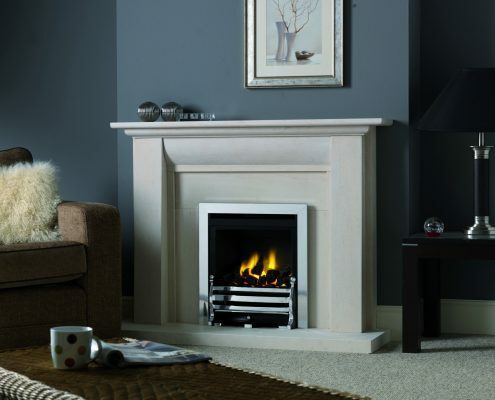 We display fireplaces to suit all budgets from leading award winning manufacturers using natural marbles and granites, various stones for example Sandstones and Limestones, wood and Corian. The Newmans Serena - This wonderful fireplace is unique being designed by our dedicated design team. This design oozes style, image and quality. Cotswold Arch A beautifully carved fireplace shown above in Portuguese Limestone, featuring a Paragon One gas fire with brass Cast fascia. 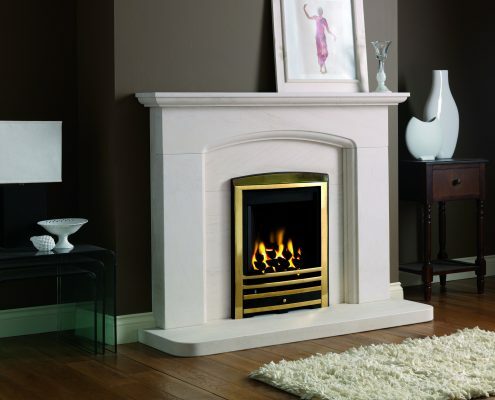 The Fireline Aylesbury is an elegant and modern design shown above in Portuguese Limestone, featuring a Paragon Slimline 3 gas fire with brass Elite trim and coal fuel bed. 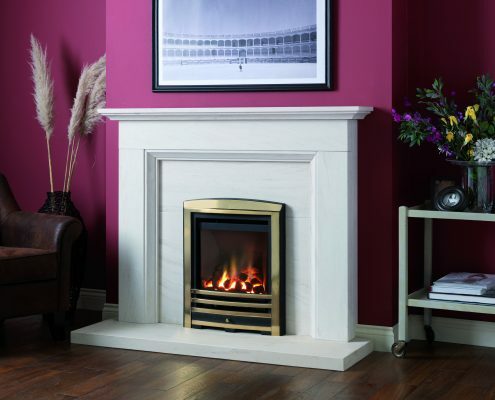 The Newmans Cadiz fireplace is a striking design with a bold internal moulding creates a stunning focal point that can be admired for many years to come. The Cadiz fireplace incorporates a honed black granite hearth, however we can supply with a matching stone hearth if so desired. 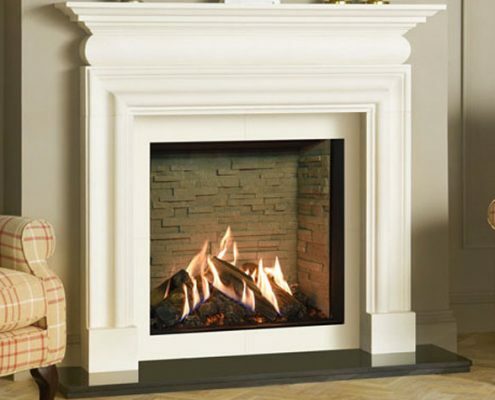 The Fireline Stokesay is a striking fireplace shown above in Portuguese Limestone. 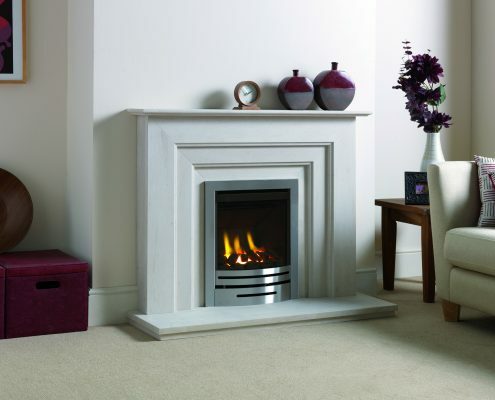 The Newmans Arada is pure class, a brand new innovative design from Newman Fireplaces. This show winning design has a carefully rebated arch with subtle outer etching. 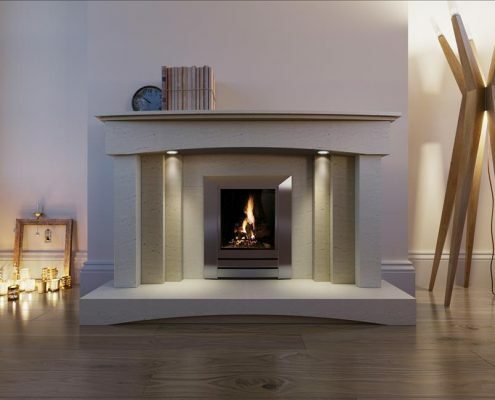 A contemporary fireplace shown above in Portuguese Limestone, featuring a Paragon Focus RS Plus balanced flue gas fire with chrome Cast fascia. 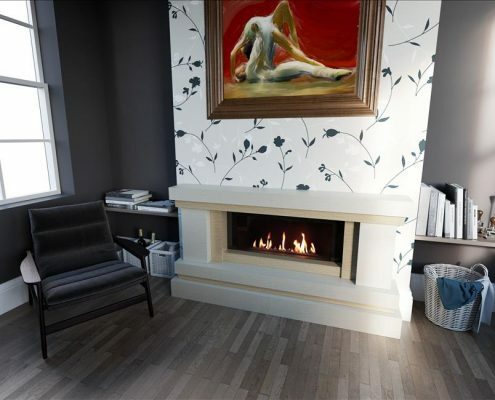 The Georgia Double Hearth Suite is displayed showing the Infinity 480 Electric Fire in our showroom. 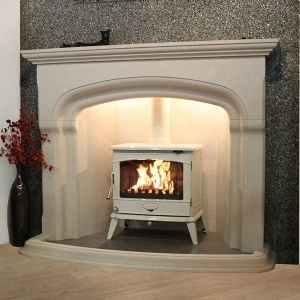 The Georgia can be made to bespoke measurements and can be fitted with inset gas fires. The Georgia featured is in Semi Rijo Limestone with Cordosa inlay, other materials and inlays are available such as Travertine and Black Granite. 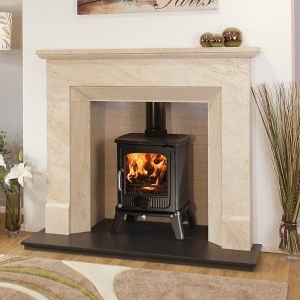 The Newmans Catalonia is a beautiful fireplace of a more traditional design expertly carved from natural stone. The Davenport Suite is displayed with the Infinity 780 Electric Fire in our showroom. 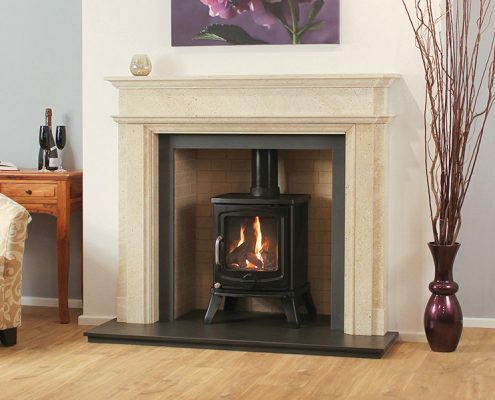 The Davenport can be made to bespoke measurements and can be fitted with inset gas fires. The Davenport featured is in Semi Rijo Limestone with Cordosa inlay, other materials and inlays are available such as Travertine and Black Granite. Stovax Georgian Cast Iron Mantel Timeless elegance was very much the hallmark of the Georgian era and this superb reproduction cast iron mantel from Stovax is the epitome of that style. Like the 19th Century original, it co-ordinates perfectly with the Regency Hob Grate and Adelaide inserts. Furthermore, it is available in a choice of traditional Matt Black or Fully Polished finishes to provide a truly outstanding focal point for your room. 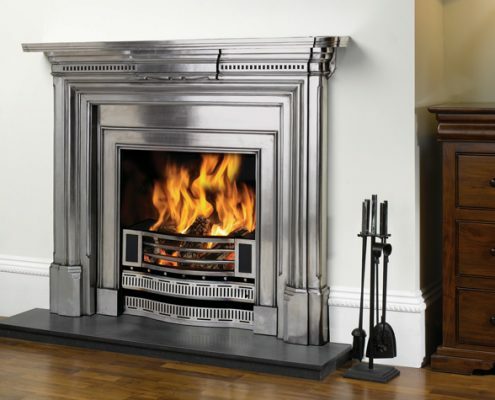 The Edgemond Suite displayed in our showroom also shows the Infinity 780FL gas fire. 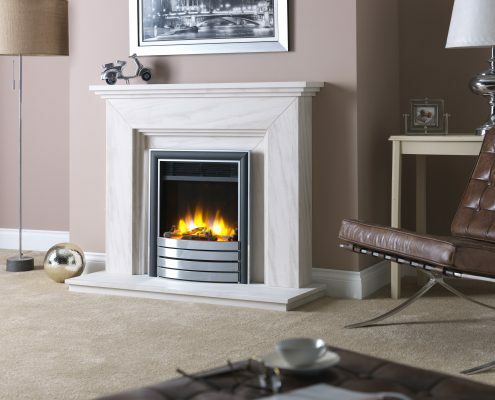 The Edgemond is one of a range of suites designed to take the Infinity range of gas and electric fires. 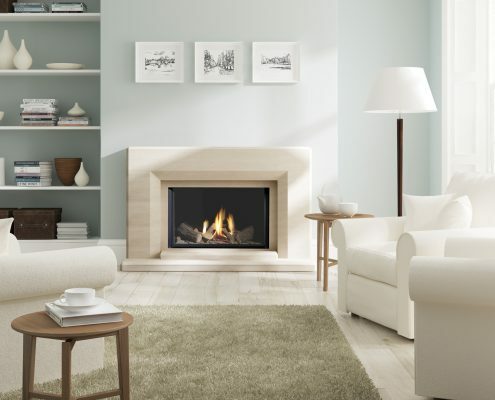 The Fireline Katia is an elegant compact fireplace shown above in Portuguese Limestone, featuring a 3D Ecoflame™ electric fire with Elite trim and Gate fret in chrome. 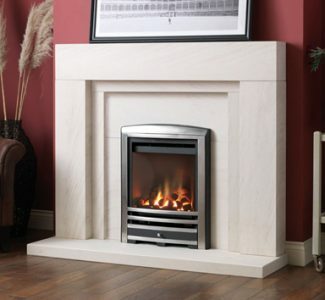 The Fireline Seville is a contemporary fireplace shown above in Portuguese Limestone, featuring a Matchless Heat Machine DVX gas fire with brushed steel Seville fascia. A striking design with a bold internal moulding creates a stunning focal point that can be admired for many years to come.